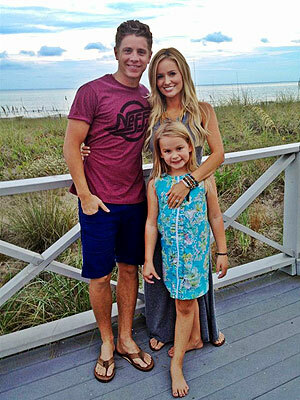 Emily Maynard and Jef with one f Holm splitting is not a shocker to anyone, but it still makes me sad. I was really rooting for this couple and love both of them as much as anyone can love someone on TV. I don’t believe anything bad that anyone has ever said about Emily. I think she’s sugary sweet and wonderful. And Jef… Jef is someone I would have picked for myself, so why wouldn’t I love him being with Emily? But like so many relationships, not just Bachelor/Bachelorette relationships, they come to an end. According to Twitter, Jef is hanging with Arie for a few days in Arizona. Maybe there’s another Bachelor reject that Jef will meet and have a fling with just as Arie did with Courtney. I am sure both Emily and Jef will not have any trouble finding new loves. I wish them all the best! Posted by amandatalkstv on October 17, 2012 in Bachelorette: Emily Season 8 and tagged Bachelor, Bachelorette, Emily Maynard, Jef Holm, Ricki.